Bitex aims to be a locally embedded bank for cryptocurrencies. Bitex views traditional exchanges as limited in their ability to safely store and manipulate cryptocurrencies. On the other hand, traditional banks simply do not have the infrastructure, the expertise, or the will to devote time, money, and space to cryptocurrencies. Bitex aims to fill this void. Bitex also hosts its own native currency, XBX, which can be used to pay for services on the diversified Bitex platform. Bitex aims to provide a hybrid of traditional banking and cryptocurrency exchange services. This is provided by the synergy between two distinct platforms – BitexPay and EZBitex. BitexPay will handle customers’ cryptocurrency transfer needs, such as paying bills. EZBitex will store customers’ cryptocurrencies via its own distributed ledger system. Both will make use of ERC20-compatible wallets. 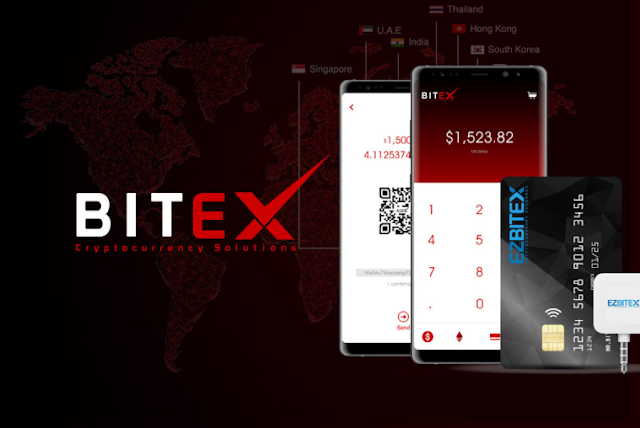 The EZBitex platform also functions as a sort of universal exchange, where customers can exchange their cryptocurrencies for other cryptocurrencies or fiat, as they deem appropriate. Where Does Bitex Aim to Do Business? Bitex plans to launch its platform in the middle of 2018 in eight different countries – Hong Kong, India, Japan, Korea, Philippines, Singapore, Thailand, and the United Arab Emirates. Bitex is shooting for a so-called “locally embedded” business model, similar to Uber. That is, each country’s branch of Bitex will be operated as a local franchise. Bitex added that it plans to focus mainly on Asia and the Middle East as it grows. What Need Does Bitex Want to Fill? Cryptocurrency and global banking are very nearly polar opposites. In fact, Bitcoin’s landmark 2008 white paper explicitly stated that the reason for its existence to circumvent the traditional “trusted third party” represented by banks and government regulatory agencies. Where, then, does Bitex and its native token XBX stand? Even cryptocurrencies can benefit from traditional banking functions, Bitex argues. Bitex, then, hopes that its crypto-bank will function more like a public utility than a for-profit commercial bank, though it should be noted that Bitex is still a for-profit company and operates a native token. How Does Bitex Plan to Make Money? As of now, Bitex claims that it has raised more than $2.7 million by selling licenses to future franchise holders in 12 countries. Presumably, the continued sale of franchise licenses will fund future growth. The company will also retain 30 percent of the 300 million XBX tokens that it plans to sell during its mid-2018 initial coin offering, to be distributed among the founders and in various marketing schemes. Fee schedules for the licensed franchises have not yet been set, though Bitex notes that transaction fees will be calculated as a percentage of each transaction and paid in XBX tokens. Who Is the Team Behind Bitex? The CEO of Bitex is Harith Motoshiromizu. Bitex describes Motoshiromizu as a serial entrepreneur. He previously founded Japanese electronics export companies Victoria Co., Ltd. and had several other business like Victoria Space, Victoria Lounge. The company’s chief technology officer is Nicolas Louis Laurent Berthoz. Berthoz previously served as a masternode advisor in Thailand. Cryptocurrency and traditional banking have been at odds with one another since the birth of Bitcoin circa 2008. Bitcoin was created as a way to encode public trust directly into the blockchain, eliminating the need for a trusted third party. However, the market as of 2018 is awash with public exchanges and a growing clamor for more government regulation and big investment money. The reason is simple: adoption. While the benefits of being your own bank and protecting your own currencies may appeal to the technologically literate, the vast majority of simple investors don’t want to stray too far from the traditional banking model. Cryptocurrencies are not a political statement for them; they simply want a safe place to store their money and watch it grow. Bitex aims to be this link between the vast sums of money sitting in traditional banking accounts and the cryptocurrency markets. While Bitex’s business plan might leave a bad taste in the mouths of crypto-purists, common investors are likely to find a familiar flavor to Bitex’s offering. The company’s decision to expand primarily in Asia and the Middle East also bodes well for it as a cryptocurrency for developing and emerging markets. You can visit the project’s website here and read the white paper here.